Apparently, I have been enrolled in high school for long enough that I think I have the wise knowledge necessary to give advice to the next generation of students. It’s mid-February of my senior year of high school, just after the beginning of second semester. The senioritis I’ve had since freshman year is slowly getting worse. Might as well throw out some good old high school advice before I die (and by “die,” I mean the death of my grades and my sanity). 1. Sleep is not an option. I’m going to tell you right now: you’re not going to get much actual sleep. 1. Something you wish you had. 2. Something you’ll never have. 3. Something you might get during class. Unfortunately, to function as a human, you will need some kind of sleep (or else you will fall asleep in class, which is potentially embarrassing and most definitely does not count as “surviving” high school). To get past the challenge of never having enough sleep, take naps. Some sleep is better than no sleep at all. If you’re up at 3AM studying like the nerd that you are or planning the next great school assembly, take a power nap. 20-30 minutes is sufficient to give you an extra charge of energy to get you through the rest of the night (err, morning). Set an alarm (or five). The most important thing to remember about naps is you must wake up. It’s a nap, not actual sleep. You probably still have things to do so sleep is not an option. 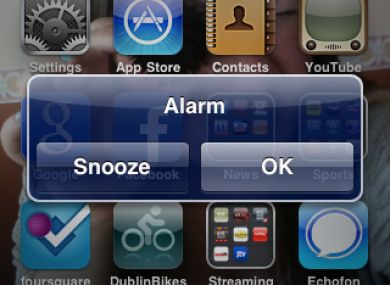 Don’t you dare press snooze. “But I thought best friends were likable.” You’re right. Human best friends are likable. You might not like AP classes, but they are absolutely necessary if you want to go to a good college. That’s the ultimate goal of high school — to get into a good college. 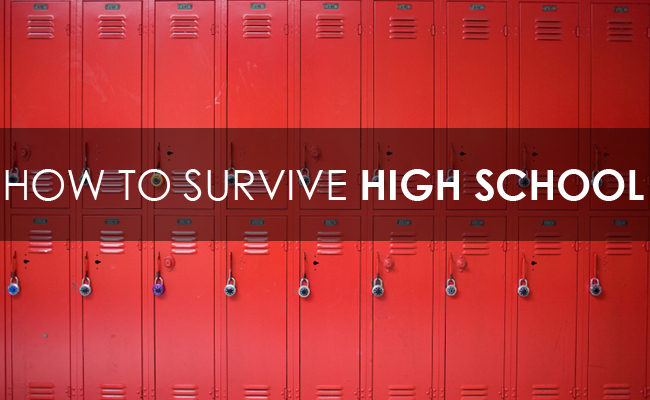 Getting into a good college means you survived high school. Get those good grades and it will all be worth it in the end. 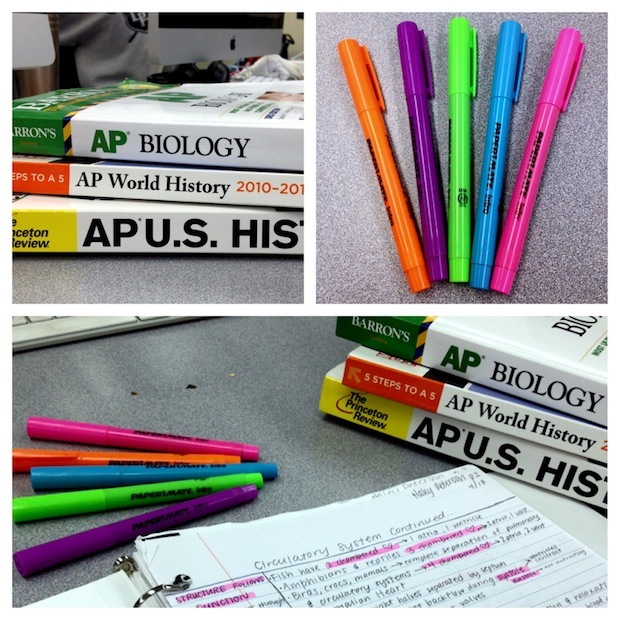 An important note: only take as many AP classes as you can handle. You might think you’re able to take on a lot, but be careful. I speak from personal experience when I say AP Biology, AP US History, AP Calculus, and AP English all taken during junior year along with extra-curricular activities is a deadly combination. Sometimes less is more. It is better to take a few AP classes but get all As than to take many AP classes and get Bs and Cs, which will significantly lower your GPA. Don’t forget to take the SAT/ACT…as many times as is necessary to get the highest score possible. Don’t think about the monetary cost of taking tests. This is an investment in your future, and the results will far outweigh the financial costs. 3. You are more than just a number. GPA is an extremely significant factor in college admissions, but believe it or not, someone out there has a heart and decided that you are more than just a number. It is equally important to be involved in your school and community in addition to getting good grades. But do it because you love it, not because you think it will look good on college applications. Adults can see right through your BS if you do things just because they make you look good. Do things because they’ll help others. I promise you’ll find something you enjoy doing, whether it’s joining clubs or representing your school in a sport. High school is also where you’ll get some of your first major volunteer experiences. It’s quite rewarding, being able to make an impact on your surroundings and going outside and seeing daylight after studying for hours on end. 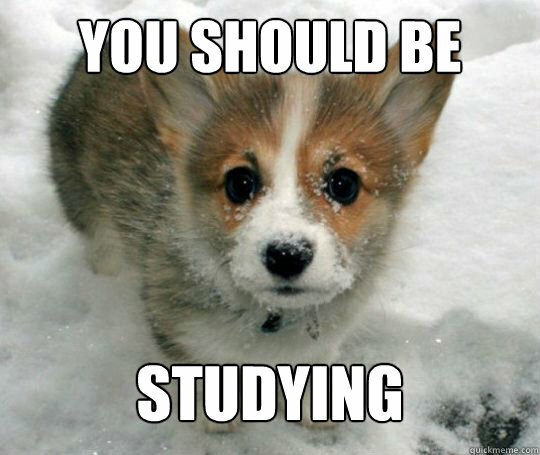 Don’t listen to the Corgi. It’s outside, which means you should be, too. Did I just use a biology term? You bet I did. I know you might not have any idea what you want to do with your life in the future, but everybody has a hobby. High school offers many opportunities for you to meet new people and try new things. Find your place. You’ll figure it out eventually. Be so good at this activity that you have people talking about you like they talk about Kurtz. Yes, that was a total AP-English-book reference. I said find your place, not become someone you’re not. 5. Smile and look presentable. I mean, you can’t say “I survived high school” and then have a terrible yearbook photo. Don’t overload yourself so much that you look like a walking corpse. Take it from me. You know what, I think I’ll go take a nap now before I get to the rest of my AP homework. This entry was posted in Dream, High School, Life and tagged academic, act, advanced placement, advice, ap, ap classes, class of 2014, college apps, education, gpa, high school, how to, how to survive high school, mean girls, naps, sat, senior, senioritis, sleep, tips, volunteer. Bookmark the permalink. Re: To Sean | I got… on Rest In Paradise, Sean. Beverly Pham on Rest In Paradise, Sean. John Severson on Rest In Paradise, Sean.